A newly restored child care supplement program could be on the chopping block again as the governor looks to cut state spending. Connecticut's child care subsidy program only recently reopened under the state's budget agreement but it is in jeopardy again. Care 4 Kids could close until 2019 as part of the governor's deficit mitigation plan to fill a gap in the state budget. State officials warn this is just a proposal that may not go into effect, but if it does, the Office of Early Childhood (OCE) estimates it could potentially impact 9,058 children across 6,038 families, according to Chris McClure with the Office of Policy and Management (OPM). New Haven mom, Maria Frazier, is one of the thousands of parents that takes advantage of Care 4 Kids. "It does help a lot with my family, in a sense, because childcare is very expensive. I can tell you, it's thousands of dollars a month you have to spend in childcare," Frazier said. 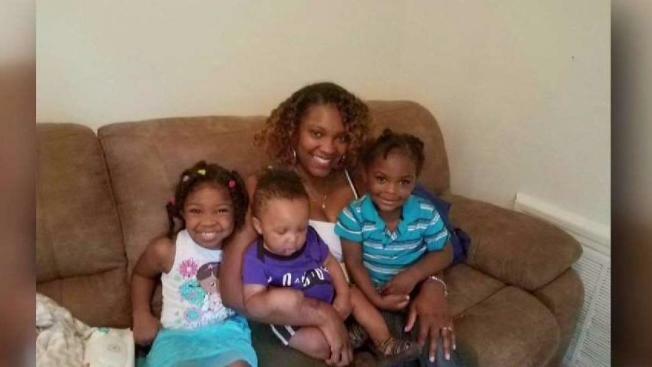 The single mother of three is frustrated to learn about Governor Dannel Malloy's proposal to close Care 4 Kids between 2018 and 2019 to new applicants. Cutting the program will save almost $18 million in the fiscal year 2018 and $49 million in the fiscal year 2019, according to the budget line item in Malloy's deficient mitigation plan. Irene Johnson is another single motherlike Frazier who works multiple jobs to support her family. Johnson told NBC Connecticut she's not sure how she will pay for childcare without the subsidy. "I try my best to keep my family afloat with Care 4 Kids because if Care 4 Kids is gone how are we going to pay for this childcare?" Johnson said. Both women have been sending their children to Babe's Day Care in New Haven for years. Babe's owner, Queen Freelove, said if there's no funding to Care 4 Kids then parents like Johnson and Frazier have no reason to bring their children to her. "Parents are going to have to stay home. They already have it hard, they can't afford childcare so if they can't afford to pay me, that means they're not going to bring the children and I'm going to be out of a job," Freelove said. NBC Connecticut reached out to the governor about the childcare concern. "We did open the list and there have been placements made, but there's a limited amount of money to make those placements with," Malloy said. "And when that money- when those positions are filled, that money- there will be no additional money to take people into the program." Ben Phillips is with the union that represents thousands of child care providers in Connecticut. "It’s incredibly difficult for parents to find childcare. It's also damaging to the future of this state because having a good educational setting for these children is essential for school readiness," Phillips said. "The governor and legislature have consistently supported strong investments in early childhood services because they know the critical importance of the early years. Care 4 Kids enables parents to work, provide for their children, and reduces demand on other safety net programs. With that said, the budget situation leaves both the governor and legislature with extremely difficult funding decisions," David Wilkinson, commissioner of the Office of Early Childhood said. "Reduction of care 4 kids funding is one such difficult decision the legislature must contemplate when considering how to mitigate the current deficit."